Four years ago, Geje “Gravity” Eustaquio from Team Lakay stepped into the cage against Adrian Moraes. It wasn’t a great night for the Filipino—the Brazilian trapped his neck in a guillotine choke and scored the submission win in less than four minutes. Last weekend at One Championship: Pinnacle of Power in Macau, he sought redemption and the unified flyweight title by facing Moraes again. Conventional wisdom would’ve dictated that Eustaquio stick to this Wushu roots and quick footwork to keep the fight standing and avoid another grappling battle. Instead, he threw caution to the wind and repeatedly clinched with the Brazilian jiu-jitsu (BJJ) black belt, trading takedowns and submission attempts en route to a unanimous decision win. “Ang gameplan is to beat him on his strong part. Ang alam ni Adriano pag pupunta kami, I will stand up and utilize my striking. So yun yung surprise,” Eustaquio revealed. It wasn’t all smooth sailing, though. In the first round, Eustaquio nearly experienced deja vu when he found his neck trapped in another guillotine. But he stuck to this guns, maintaining a “If I get caught, I will sleep” mentality before eventually escaping. If you’re a fan of mixed martial arts, then this strategy might’ve come as a bit of a shock. Once upon a time, Team Lakay was labeled as a group of talented strikers with little to offer on the ground. The fact that they’re based in Baguio City, far removed from any elite grappling camps, only reinforced the idea. But rather than shy away from their obvious weakness, Eustaquio and his brothers put their hours in on the mat, improving their grappling games little by little each day. 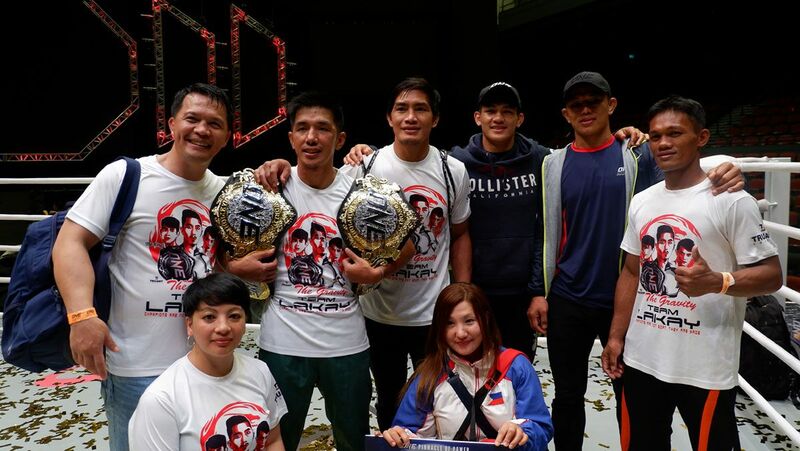 Now, they’ve turned their weakness into a strength; Eustaquio went from from a quick submission loss to trading leg locks with a BJJ black belt in just four years. It’s a fine example of how tenacity and grit, and a willingness to address your own shortcomings, can overcome a superior pedigree. “Please don’t underestimate our BJJ, or what we call Baguio jiu-jitsu. It’s somewhat dangerous. More time, and we will submit you guys,” he added.